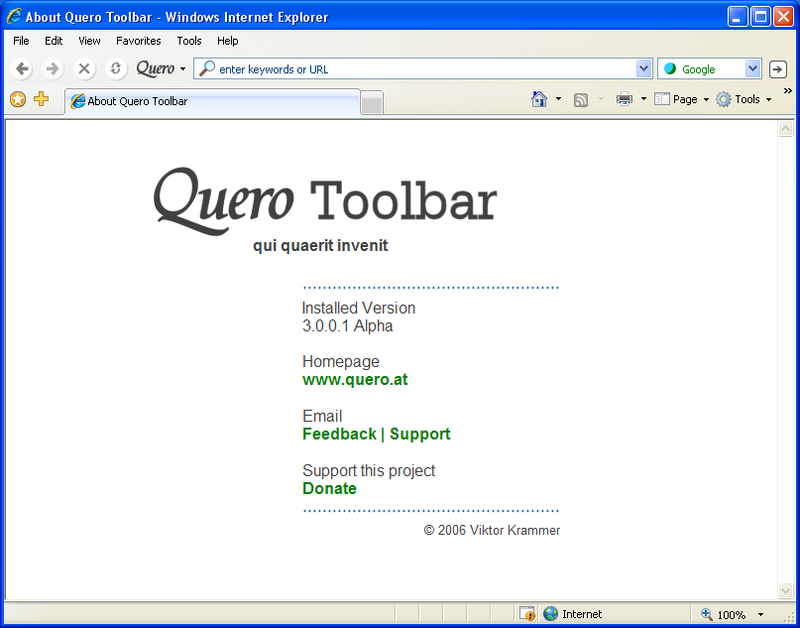 Quero Toolbar 3 is currently under development and optimized for IE7, the next generation of Internet Explorer with tabbed browsing, better CSS support, improved page zooming and many security enhancements. Check out this first screenshot of Quero Toolbar 3 in IE7. Today I have released a revised version of Quero Launcher which is now compatible with IE7.